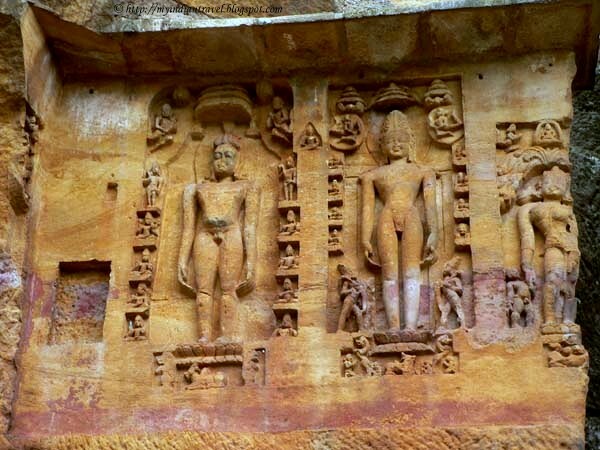 Rishabhanatha Gumpha located on Southern-eastern side of the Khandagiri Hillock of Orissa. It belongs to 1st century B.C. during the period of Mahameghavahana Chedi dynasty. Presently the cave has entirely collapsed except for the back wall of the cave. 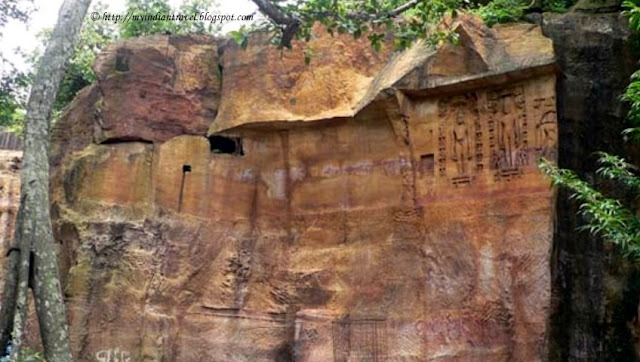 On the back wall there are three reliefs images, two of Rishabhanatha and one of Amra carved at the top portion. Very detailed carvings for so long ago! Interesting discovery and detailed capture! Lovely carvings. Architecture is so simple here. What a most interesting place. Years ago someone used their talent for these great cravings. Beautiful, and magnificently preserved! Must be amazing in person! A lot of work went into those carvings. What an amazing place, Rajesh, and great captures, as always!! Have a great weekend!! Wonderful photos! Love the ornate detail in the last shots. A thrilling sight from antiquity! I hate the cave has largely fallen in. 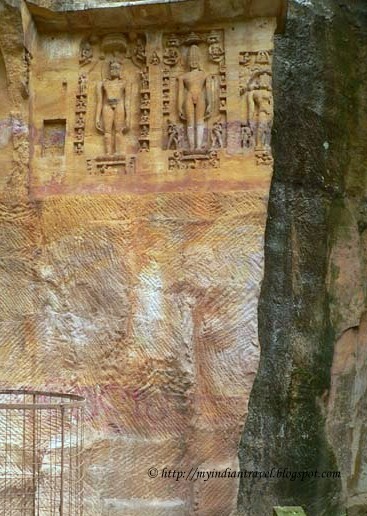 Amazing that someone had the patience to carve this detail out of solid rock. Wow! You post the most gorgeous photos! I love this series a lot. Fantastic. So much art in our history! Beautiful colours on the stone. The colours on the stone add so much beauty to the sculpture on it.